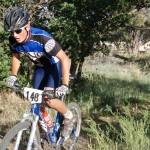 Five local singlespeed mountain bike shredders are off to Napa, California this weekend to compete in the annual Singlespeed World Championships. Two time winner Travis Brown, former 24hr singlespeed world Champion Steve”DOOM” Fassbinder, Jon Bailey, Ben Cooper and DEVO Head Coach Chad Cheeney will be making the drive for this sundays main event. Over 400 racers will take part in the mass start race. The Durango squad will be competing not only for the top spot on the podium, but also for the chance to host the event in Durango next year. Cross your fingers and keep tabs at the SSWC08 blog. Hello Parents. Here is how we’re going to do this. 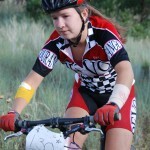 If you did the spring or summer jr DEVO rides, you will not need to fill out a new medical and liability forms. You need to pick a group, email annie@durangodevo.com and tell her your descision and send a check to our PO Box, listed below. If you are new for 2008, you must print off a medical and liability release form, fill them out and send them to our Po Box. Print of the ride schedule you want. 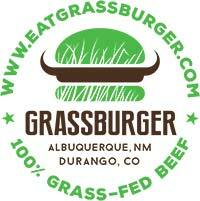 Then email Annie@durangodevo.com with your choice. 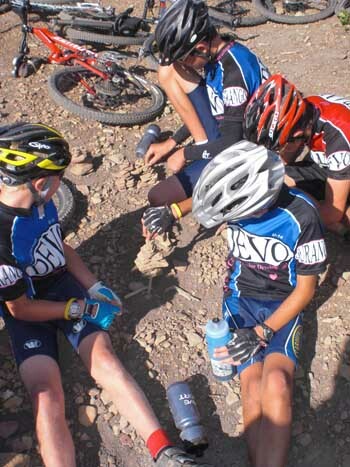 Please take time and read the jr DEVO Fall info page to help decide which ride is right for your sweet rider. 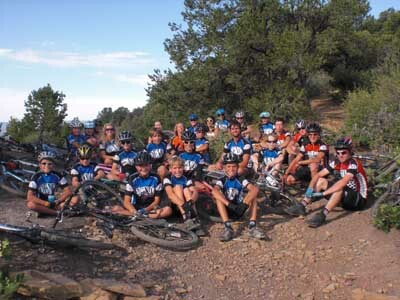 If you have any questions on which ride to join, please contact chad@durangodevo.com or Annie. Chad will be out of the office until Aug 26th, so answers to emails will have to wait until then. Sorry, we cannot have children in kindergarden on the first grade rides, no exceptions. 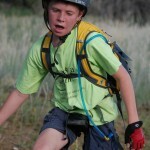 Middle school boys and girls can join the thursday advanced group with Chad. The 20″, and 24″ wheel size group separations are the best way we can split the groups into skill levels. Typically, the smaller wheeled riders have a harder time keeping up with the bigger. 24inchers can ride in the 20inch group if that is their skill level. 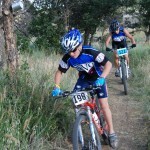 The AllGirlsRide on wednesdays is for 3rd graders and up only this Fall. All rides will be capped at 16riders and we will do our best to make it work for everyone. Jerseys will be available mid september. No reserving, we will announce when we get them and do our best to get them to you. This blog is your source for all DEVO info, so check in once and awhile by clicking, to the right, on parent info and fall jr devo forms and schedules. LeBron James is a Cyclist! LeBron James, a super-duper player for the Cleveland Cavaliers, has invested a slice of his huge earnings in the US bike maker, Cannondale. LeBron James bought the undisclosed ownership stake through his wholly owned company King James Inc.. Cannondale has teamed up with LeBron to provide bicycles for the James Family Foundation’s annual “King for Kids Bike-a-thon,” a charity bike ride event in Akron which benefits children and single mothers. For the 2006 bike-a-thon, the company designed and manufactured a custom bike for LeBron based on the Caffeine model design, which he has subsequently incorporated into his training regimen. *All riders, including DEVO’s must pay $5 with all the entry fee’s going towards top five in each category, holeshot and lap prime money prizes. This will be the final DEVO summer short track race. 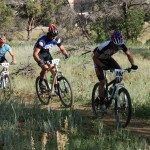 The course will be a fast true stxc with plenty of passing. See ya then. Yep, race number ten is tonight at Three Springs Development. 530 registration, 6pm B’s and 630 A’s. This is the last race in the DEVO summer series, however on August 27th we have scheduled the Super Triple Times Double Grand Finals, where all the registration money goes to the podium in each event! Yep, even a 5$ holeshot bonus. Dang thats rad. The location will be at the Factory Trails on the FLC Campus so stay tuned. That was one sweet event to see in person, nice Chase nice. Tuesday 24/26″ Advanced Group– starting September 9th, for advanced riders looking to push the envelope a little, 6th graders are included in this group. We look foreword to the fall riding season with your children! 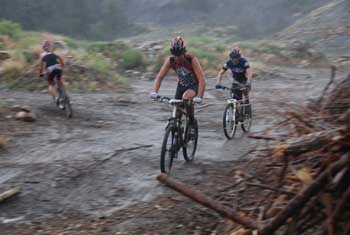 The B women ripping through the start finish, while the A's rush the start to get a jump on the impending storm. 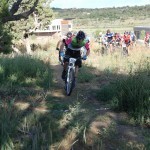 This weeks race will be out at Three Springs and is the final race on the schedule. However the Super triple times double grand final will be at FLC’s Factory Trails on wednesday Aug 27th. 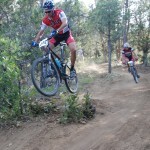 Yep thats right, mountain bike racing returns to Durango Mountain Resort. On Saturday August 30th, racers will begin their sufferfest at the Columbine base area and ascend to the tipity top of lift 8. 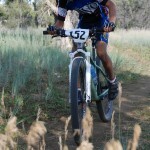 The event has been organized by DMR and DEVO to try and bring bike racing back to the mountain. Categories will be split into pro and amateur, with age group champions in the amateurs. 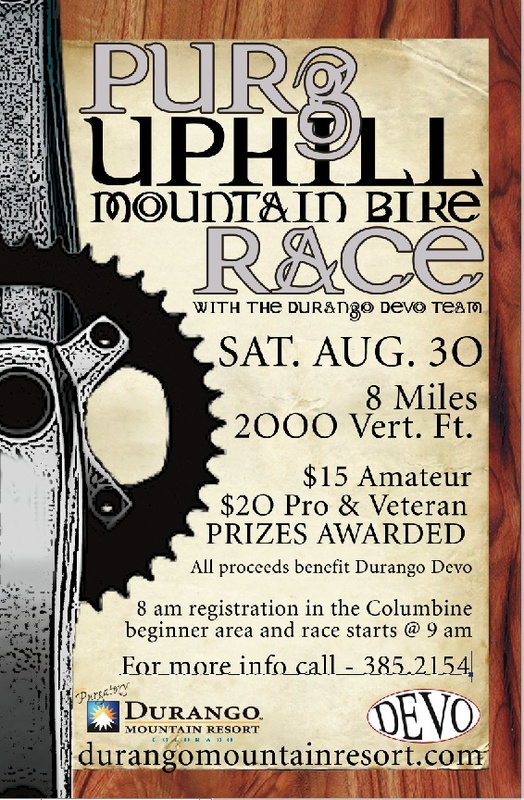 Please put this race on your schedule as it is a pre-fall fundraiser for the Durango DEVO squad. Price is 20$ for pro and $15 for amateur. Local college station KDUR’s newest call-in radio show, Cycle Squawk will air live at 11:30 am to 12 noon on FM dial 91.9 and 93.9. This weeks show will be missing Russ, as he is doing family in Florida, but will be substituted by cohost Ed Cheeney and guest Pam Cheeney. The theme will be family and host Chad will be there to answer your questions. Call in at 247-7262. 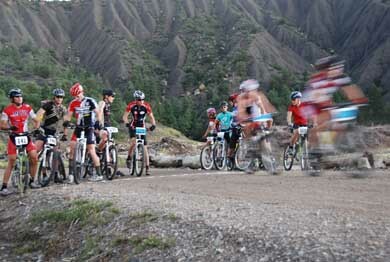 Official Durango Wheel Club Tuesday Night Rides will end September 2nd. This will be just prior to the Wheel Club Championships (September 4, 7, 10, 13th). Any Tuesday night group rides occurring after September 2nd will not be sanctioned by the DWC and the existing ride schedules will be taken down. We are ending the rides early to address safety concerns raised by community leaders and law enforcement while we work to make changes for the 2009 season. We apologize for any inconvenience this may cause but we have to take action immediately. For the remaining Tuesday night club rides (August 12th, 19th, 26th and September 2nd) The DWC, as we always have, insists that participants adhere to the rules of the road (as stated above each ride schedule on the web). Trails 2000 hosts a Trailwork Party Wednesday, August 13 on the Roots Trail at Durango Mountain Park from 4:00pm to 7:00pm. Projects include trail reroute and construction, drainages, lopping and additional trail maintenance. Directions: Camino del Rio south to 9th Street. Go over the bridge and turn right at the stop sign on Roosa Avenue. Head north and turn left on El Paso, then right on Eastlawn. Head north on Eastlawn to Leyden Street-turn left and park at the trailhead. It’s a 6 minute walk from the trailhead to the worksite and the area will be marked up to the trail. Please sign in, grab a tool and meet us on the trail–all are welcome to attend. Feel free to stop by after work to help out. Please wear long pants, long sleeved shirt, sturdy boots and bring water. The San Juan Public Lands Center has released a Draft Environmental Assessment (EA) proposing fuels mitigation for BLM lands on Animas City Mountain and a BLM parcel near Turtle (Chapman) Lake. A BLM representative will present the Draft EA at a Durango City Council Study Session at 4 p.m., Tuesday, August 12, 2008. The public is invited to attend. The public will also have the opportunity to learn about and provide comments on the Draft EA at a BLM public open house at the San Juan Public Lands Center later in August. Other opportunities for public participation will be scheduled. Specific dates and times for these events will be announced soon. Public comments on the Draft EA will be accepted for a minimum of 45 days. Comments may be submitted in writing to Craig Goodell, Project Leader, San Juan Public Lands Center, 15 Burnett Court, Durango, CO 81301, or via email to: craig_goodell@blm.gov. The Draft EA is available on the San Juan Public Lands Center Web site at: http://www.fs.fed.us/r2/sanjuan/projects/projects.shtml. A limited number of hard copies are also available at the San Juan Public Lands Center, 15 Burnett Court in Durango, and the Columbine Ranger District/Field Office, P.O. Box 439, Bayfield, CO 81122.